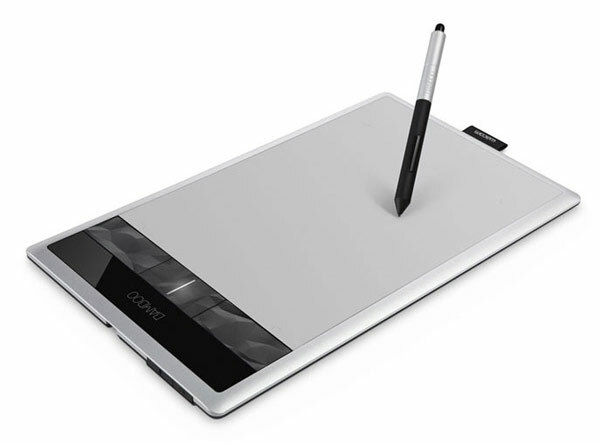 Whether you are looking to communicate visually with sketches and diagrams, enhance and edit your photos, or pursue artistic interests such as drawing, painting, or animating, Wacom Bamboo tablet is the right tablet for you. Inspire. Create. Imagine. 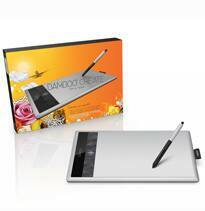 The Bamboo Create pen tablet opens up a new world for digital art and photo projects. With twice the workspace of other Bamboo tablets, Bamboo Create gives you plenty of space to express yourself, enabling broad brush strokes or arm movements. Let your imagination soar as you freely and naturally draw, paint, doodle and sketch in your favorite software. Use software applications like Adobe® Photoshop® Elements, Corel® Painter™ Essentials, and Autodesk® SketchBook® Express (included with your purchase) to explore a variety of digital media, including pencils, pens, markers, chalks, watercolors, oil paints and more. Your pen gives you the feel of working in natural media. Bamboo Create is perfect for art projects that require a larger digital canvas. Turn digital images into special mementos. Use the pen to add hand-drawn embellishments or journaling to your projects and photos. Create unique, personal invitations, greeting cards and photo books to print and share digitally with friends and family. Full software bundle: Corel® Painter™ Essentials, Adobe® Photoshop® Elements, Autodesk® SketchBook Express and Nik® Color Efex Pro™ 3.0.